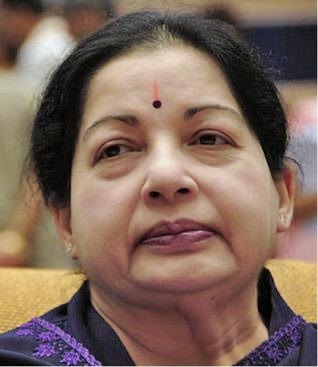 What we can learn from Jayalalithaa – no matter what or who it is, be yourself! The key to intelligent living is the ability to overcome the temptation to please others. Whether it was her meteoric rise to stardom or handsomely surviving in the male-dominated steamy cauldron of Dravidian politics or facing the slew of criminal charges against her or dealing with the victories and defeats in elections or just coping with her sense of loneliness, no matter what it was or who it was, Jayalalithaa was remarkable only because she was always herself. I remember Jayalalithaa once telling this to NDTV’s Jennifer Arul: “My mother pushed me into films, my mentor MGR pushed me into politics. But for these two instances, I may have wanted my Life to be very different.” Even so, despite the contexts and circumstances that she was placed in, the one thing that made her charismatic – and perhaps, therefore, enigmatic – was her ability to be herself. Here was a lady who was then wanting to be Chief Minister – it was to be her first time. She would have surely wanted to be in the good books of India’s # 1 newsmagazine India Today. But she refused to give up fighting the good fight – especially if it came to demanding that she be respected as a woman, if it was a question of her dignity. This is the way, for the rest of her Life, Jayalalithaa remained herself – unwilling to ever bend to social, political or gender-related pressures. And this can be the learning we may want to take away from her Life. From the time we are born – family, friends, society – everyone wants us to be the way they are. And somehow we grow up pandering to this social conditioning. We view each of our actions in the prism of our mind’s eye always as how we will be perceived by others. In that effort to meet the expectations of those around us, we cease to live the Life we must or want to or are capable of. When we are not living the Life that we are comfortable living, under the circumstances in which we find ourselves, we are not happy. We are not peaceful. Undoubtedly, Life will place us in contexts we never imagined for ourselves. In each situation, there will be a temptation to please people, society and do what others want us to do. But if we can overcome that tendency and just be ourselves, we will have lived remarkably! PS: This post has been edited. The name of my boss has been dropped and I refer to him now as Mr.X. Author AVIS ViswanathanPosted on December 6, 2016 December 6, 2016 Categories Be Yourself, J.Jayalalithaa, Life, UncategorizedTags 1991 Elections, Art of Living, AVIS Viswanathan, Be Yourself, Fall Like A Rose Petal, Happiness, Happiness Curator, India Today, Inner Peace, Intelligent Living, Jayalalithaa, Jayalalithaa Death, Jennifer Arul, Life Coach, MGR, NDTV, Poes Garden, Prabhu Chawla, Unhappiness, Vaani1 Comment on What we can learn from Jayalalithaa – no matter what or who it is, be yourself!